About a decade ago, I decided to be the best leader ever. Okay, maybe not the best—that’s beyond my reach—but certainly better. I got things done, that’s true. Our organization accomplished a lot. But it wasn’t always pretty from the corner office. I came across servant leadership by accident, and it just sounded good. So straightforward. How hard could it be? Surely, once I understood the “whats” of servant leadership it would be a snap. According to Robert Greenleaf (the man who coined the term), servant leadership “begins with the natural feeling that one wants to serve, to serve first.”1 (Although many give credit for servant leadership to Greenleaf, others say that Jesus Christ beat him to the punch.2) Servant leadership is intuitively appealing. It just makes sense, and has what researchers call “face validity.” Who wouldn’t want to be a servant leader? We’re in the nonprofit sector after all, and who among us doesn’t come to the work wanting to serve? Says leadership expert Peter Northouse, “Servant leadership argues unabashedly that leaders should put followers first, share control with followers, and embrace their growth.”3 What’s not to like? If servant leadership is all that, plus under-researched and largely philosophical, why do experts in the field like Ken Blanchard, Peter Block, Stephen Covey, Peter Drucker, Jim Kouzes, Peter Senge, and Margaret Wheatley endorse it so enthusiastically?7 Count positive orientation, spiritual foundation, and consistency with accepted management principles.8 Another reason servant leadership may be so beguiling is that people are reluctant to criticize such a positive movement; another equally credible rationale may be, “Why not?” After all, any leadership theory that seeks to enhance individual consideration and has ethical underpinnings has legitimacy in my book. 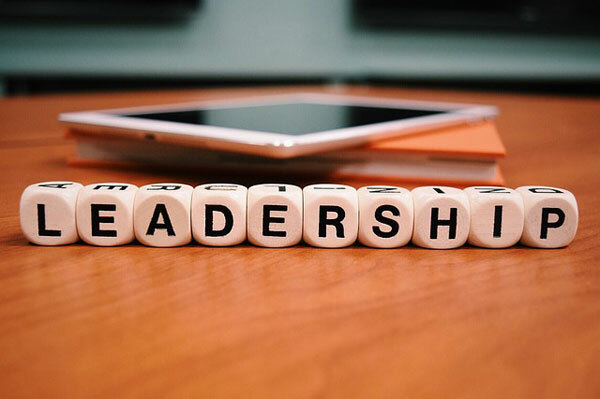 Here’s what I finally figured out: servant leadership isn’t a toolkit for leading per se, but it is a darn good tool for evaluating how good a leader you are. Eureka! I’m a big fan of Frank Capra’s It’s a Wonderful Life, and I’ll use it to illustrate the three-part test of servant leadership outlined above. The first test is whether those you’ve served grow as people. On the morning of Christmas Eve, Uncle Billy (George’s lovably incompetent finance guy) loses a payment to old man Potter’s bank (Potter actually stole it). In three possible variables explored in the movie, George pays up, goes under, or kills himself for the life insurance money to pay off the loss. But thanks to his altruism over the years, George’s community of customers take it on themselves to cover the loss. Everyone sings “Auld Lang Syne,” and the movie ends. Cue tissues. The second test of servant leadership is whether or not those served become servants themselves. This is the servant leadership rule: “Do unto others as you would have others do unto others.”12 During the 1932 banking crisis, Tom (George’s “Grumpy Cat” customer) leads a rebellion to sell George out to old man Potter. Guess what? On Christmas Eve, thirteen years later, he’s among the first to dig deep into his wallet. The last test of servant leadership is the effect on the least privileged, which is clearly substantial. What would Bedford Falls (where George lives) be like had George not been born? It would have been Pottersville: a tawdry, unseemly place populated by down-on-their luck people—including Mr. Gower, the town drunk castigated and ridiculed for accidentally poisoning a customer. But George was born, and none of that Pottersville stuff happened. When we leaders look back upon our lives, will we really spend time remembering the deficits or surpluses, the boards of directors that didn’t raise enough money? Not a chance. If we use the servant leadership tests, we’ll help others transform their lives. And that’s something to remember—that’s a wonderful life! Robert K. Greenleaf, The Power of Servant Leadership, ed. Larry C. Spears (San Francisco: Berrett-Koehler Publishers, 1998), 123. Sen Sendjaya and James C. Sarros, “Servant Leadership: Its Origin, Development, and Application in Organizations,” Journal of Leadership and Organizational Studies 9, no. 2 (2002): 57–64. Peter G. Northouse, Leadership: Theory and Practice, 7th ed. (Thousand Oaks, CA: SAGE, 2015), 240. Hamilton Beazley and Julie Beggs, “Teaching Servant-Leadership,” in Focus on Leadership: Servant-Leadership for the Twenty-First Century, ed. Larry C. Spears and Michele Lawrence (New York: John Wiley & Sons, 2002), 53–64. James D. Showkeir, “The Business Case for Servant-Leadership,” in Focus on Leadership, 153–66. Northouse, Leadership: Theory and Practice, 241. Robert F. Russell and A. Gregory Stone, “A review of servant leadership attributes: Developing a practical model,” Leadership & Organization Development Journal 23, no. 3 (2002): 145–57; Sendjaya and Sarros, “Servant Leadership”; and John Burkhardt and Larry C. Spears, “Servant-Leadership and Philanthropic Institutions,” in Focus on Leadership, 223–43. Mary Ann Bowman, “Popular Approaches to Leadership,” in Leadership: Theory and Practice, 1st ed., ed. Peter G. Northouse (Thousand Oaks, CA: SAGE, 1997), 239–60. Northouse, Leadership: Theory and Practice, 239. Greenleaf, The Power of Servant Leadership, 123. Jeree H. Pawl, “On supervision,” Zero to Three 15, no. 3 (December 1994-January 1995): 21–29.